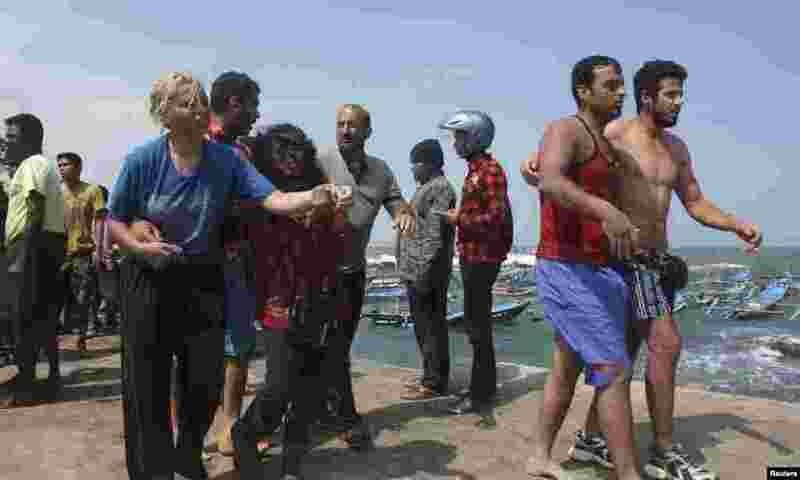 Indonesian authorities are searching for survivors after an Australia-bound boat full of asylum seekers sank off the southwest coast of Java, Indonesia. 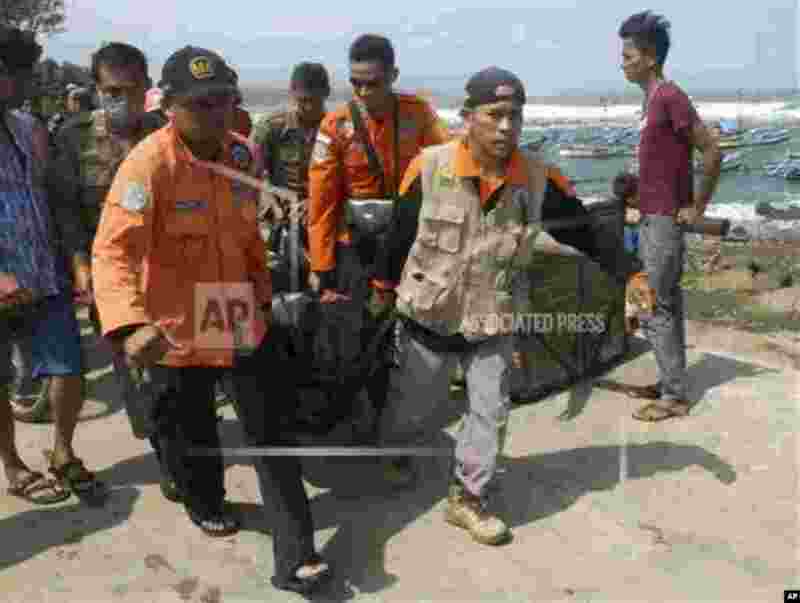 5 Suspected asylum seekers that were on a boat that capsized July 23 after hitting a reef, arrive at Jayanti beach, West Java province, Indonesia, July 24, 2013. 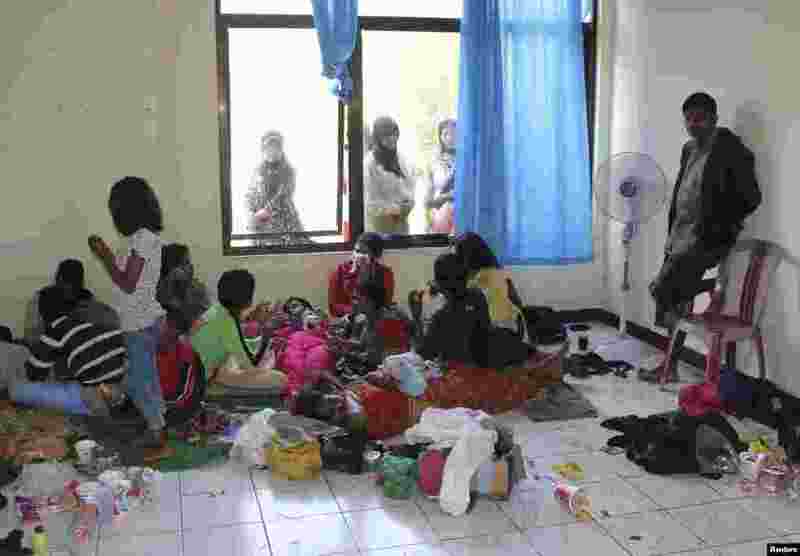 6 Suspected asylum seekers who were on a boat that capsized July 23, 2013, after hitting a reef, sit at a temporary shelter near Jayanti beach, West Java, Indonesia, July 24, 2013. 7 Rescuers carry the body of a victim killed after a boat carrying asylum seekers sank off West Java, Indonesia, July 24, 2013. 8 A police officer carries a child who appears to be unconscious after a boat carrying asylum seekers sank off West Java, Indonesia, July 24, 2013.